Remember when fans looked forward to the first Winter Classic? Hockey was finally going to be played outdoors again in honor of how the sport began. Remember how tickets were sold out months in advance? Remember all the fanfare and excitement the day of in anticipation for the game itself? It seems so long ago doesn't it? Fast forward nine years and what was once a heralded event (meant to be held once a season) has become part of an over-exposed marketing scheme. A celebratory event paying homage the roots of professional hockey seems to have lost a lot of its luster. From 2008-2013 there were a total of seven games played outside in a span of five years. It was kept to one game a year, maybe two. Since 2013, the number of outdoor games held in the NHL has doubled. 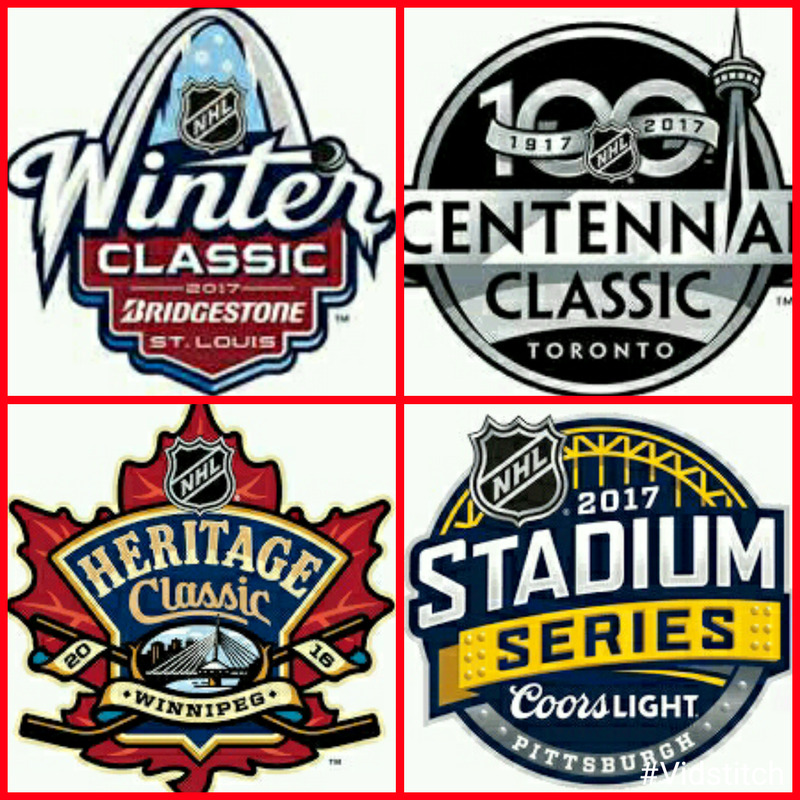 There have been 15 outdoor games played in four years (so far) and now boasts three separate events: The Heritage Classic, The Winter Classic and the Stadium Series. In the 2016-2017 season, the Centennial Classic was added to commemorate the NHL's 100 year anniversary. It is not only the number of games that can wear off the excitement, it is also come stem from the teams involved. To date, the team that has made the most appearances in NHL outdoor games is the Chicago Blackhawks with five. They have played in three Winter Classic games and two Stadium Series games. The second most appearances are by the Detroit Red Wings (four), followed by a three-way tie for third between the Pittsburgh Penguins, Montreal Canadians and New York Rangers (three). One could argue that the NHL is just using it's most popular teams. This is a valid point to some degree. Why wouldn't a commissioner want the teams with the biggest fan bases taking center stage? On paper it is a good idea and, in theory, it's a game that would bring in a lot of revenue for the league. There is, however, such a thing as "too much of a good thing." When you have a large fan base and (now) 31 teams in one league, a little variety can go a long way. Seeing the same teams over and over, no matter where the game is played, can get very dull. It brings viewership down overall and calls into question whether or not the league is favoring one team over another. 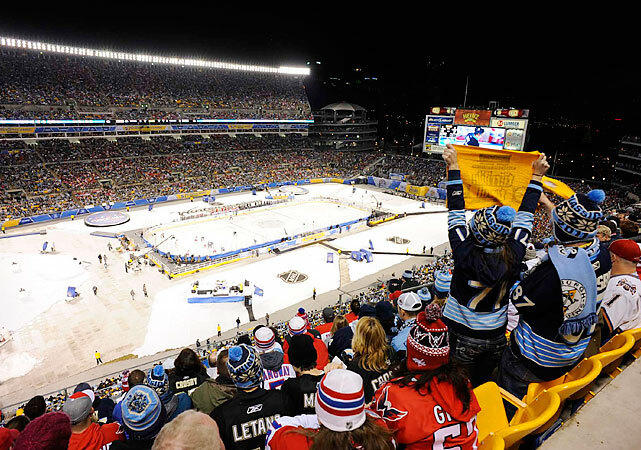 The NHL has not had a problem filling seats for the outdoor games since it's inception. Most games have sold out or come close to selling out, but it is taking longer to do so. In 2011, tickets for the Winter Classic were sold out months in advance. Resale had tickets starting at over $450 for the "cheap seats". Now, in 2017, tickets are still available or a relatively agreeable price with the Battle of Pennsylvania game just days away. However, the pricing of tickets has skyrocketed, adding yet another possible reason for the lack of appeal. The Pittsburgh Post Gazette interviewed a local professor that gave some insight as to why tickets aren't flying from the box office. "The novelty has worn off," said John Clark, who is a professor of sports management at Robert Morris University. "Even if they constrict the number of games going forward, the novelty has still worn off." Another (growing) concern for the outdoor games is the weather. Unseasonably warm winters have lead to games being postponed by hours. It could be no different for this next game. The weather in Pittsburgh calls for a temperature of close to 50 and rain. While the temperature can be dealt with, the rain would make the ice surface too poor to skate on. While the NHL says that the game will be played regardless of the weather, player safety should be a concern. If the rain would remain all day, the thought of rescheduling could become a real option. Speaking of the players, what is their take? Have they had their fill of the outdoor games? The consensus is about 50/50. While some find it to still be exciting, fun, and look forward to the event, others feel that it has lead to oversaturation. Take our own Pittsburgh Penguins. Matt Cullen is like a kid in a candy store about the game. He just can't wait. Goaltender Marc-Andre Fleury loves the different feel of the game. "I feel like at times it can be overdone," Mr. Fehr said. "I understand it's a bit od a draw for the league to make some extra money or whatever, bring some more popularity to the game in the United States. I like it with one per year. Just make it extra special." Should there be less games overall? Is one a year enough to make the teams, fans, and players happy? Should there be 2-3 games held outdoors but all on the same, special day? There is definitely brainstorming that could be done to bring the energy back to a slouching event. Whether the commissioner of the league would even think to ponder these ideas is anyone's guess. 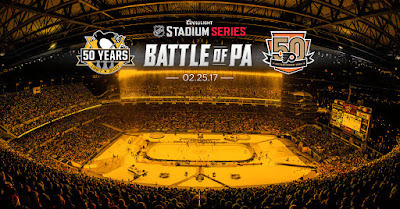 The fact remains that the outdoor games will remain as they are until a drastic change in attendance (and television ratings) is seen. How do you feel about the outdoor games? Would love to hear your thoughts. Check out the Twitter poll pinned to the top of the personal account and let me know. The results and comments could be used for a later article. The next sections in this article discuss the involvement of children in games in the tech age, types of games available in the market and the impact of digital gaming as learning aids in classrooms. The best diversion analyzer must have the capacity to altogether think about the case and should remain focused on his work. I really appreciate the kind of topics you post here. Thanks for sharing us a great information that is actually helpful. Good day website link. A video amusement content rating is a framework is accessible in numerous nations and they are utilized to characterize video games into reasonableness related age bunches as for its substance which, whenever pursued, will confine the negative parts of a portion of the games. Ultimately, go right here the best gaming CPU isn't finished without an astonishing designs card. It would be in charge of showing astounding illustrations and videos from the games which is the reason the card ought to be of top quality. This entertainment resource is one of most popular unblocked games choices of entertainment among the children as well as teens. You should pick a PC which has top of the line illustrations unblocked superfighters and top of the line processors in the event that you would prefer not to be frustrated.